First, read this page. Then follow the directions at the bottom of the page. Are you, as a learner, ready for this distance learning course? First, honestly answer the question, "Am I self-motivated and capable of managing my time well?" Distance learning (DL) is not easy! Not having to attend a class increases your own responsibility for learning. Study habits are important to e-learning success. In this class, you must consistently complete projects and assignments when they are due. You will need to dedicate at least 6 and up to 10 hours per week to this course. Online learning requires self-discipline, persistence, and patience, and can be more challenging than traditional classroom-based courses. DL courses use distinct course management software, communication processes, and assignment submission methods. You may need to expand your computer skill set without direct instruction. Online support is available for every aspect of technology employed (links below), but learning new skills can take time. Start a computer, launch applications, and manage data files. Use word processors, and save, name, and organize documents. Access and browse the World Wide Web. Send and receive e-mail, compress and attach assignments to e-mail. Download and save data files from a Website. Computer system: Windows 98 or Mac 7.5, or better, with Internet access capability. Software: A text editor and recent version browsers. 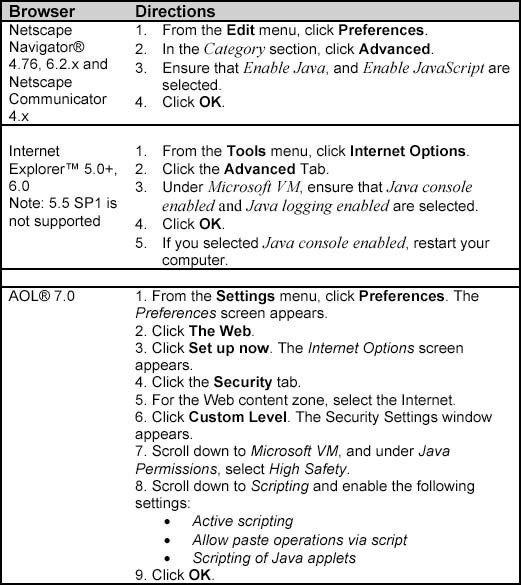 Internet Explorer 5.5 or Netscape 7.0 are needed for using the MCC WebCT features. America On-line users SHOULD NOT use the built-in AOL browser for WebCT (more below). Internet Access: An Internet Service Provider account and an Internet connection. E-mail capability: You must have an MCC student e-mail account registered in your name. Your e-mail account, the user ID, and password are prerequisites to accessing other online resources used in this class. This service is free. If you have not yet established a student account, do so now. Setting up an MCC e-mail account. Students who create their accounts during the first week of semester can expect up to a three-day delay before they can access their accounts. (If you are not able to access it within 72 hours, an error has probably occurred and you'll need to contact the Help Desk to fix it.) You must read this e-mail account frequently during semester or set up the account to forward to the e-mail address where you read your e-mail. The MyMCC Portal. Your MyMCC account is a Web-based interface to access your class schedules, grades, web-based class tools, and MCC e-mail. The account tools include password editing, forwarding MCC e-mail, links to the scholarships database, messaging from instructors, access to WebCT and Webboard, and more. The MCC Home Page provides the Portal login, with a Create an Account link. What is WebCT? 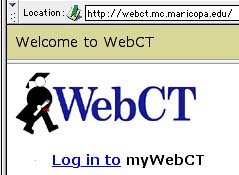 WebCT is the online system used, in this class, to deliver on-line exams and quizzes. 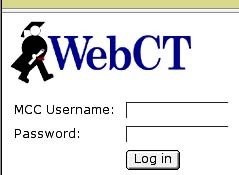 Adjust your browser settings before you access WebCT. WebCT has problems with the Netscape 4.7 and earlier browser during on-line testing. I therefore recommended using Internet Explorer 5.5 or better for WebCT. The navigation bars in this Web site include a WebCT link. That link leads to the login page (illustrated below) with a Help link. The Help link on the Log in page is the best place to find WebCT help. Clicking "Log in to" leads to the form where you enter your MyMCC username and password. Log in to AOL as usual. Launch either Internet Explorer or Netscape Navigator. Conduct your online activity using Internet Explorer or Netscape. Keep your AOL session from timing out due to inactivity. Academic Support Services at MCC. If you have questions about the information presented above, you can explore the following online resourses. One-on-one tutorials about using the Internet, e-mail, and other services are available in the Learning Enhancement Center, or follow their online tutoring link. The MCC Help Desk. If at any time you need technical assistance, you can call the MCC help desk or e-mail them . The MCC Help Desk resource page is very useful! DIRECTIONS: You need to do the following during week one. Set up your MyMCC account. Read the syllabus and assignments pages and explore this Web site. Send the instructor an e-mail. Obtain the text book and preview the lessons. Send a photograph. To facilitate creating a social learning e-space, please e-mail a photograph of yourself suitable for posted on the Internet (in a private page known to this class only). If you do not have or do not know how to produce a digital photo, snail mail a photo or contact me. Report any problems with this Web site.